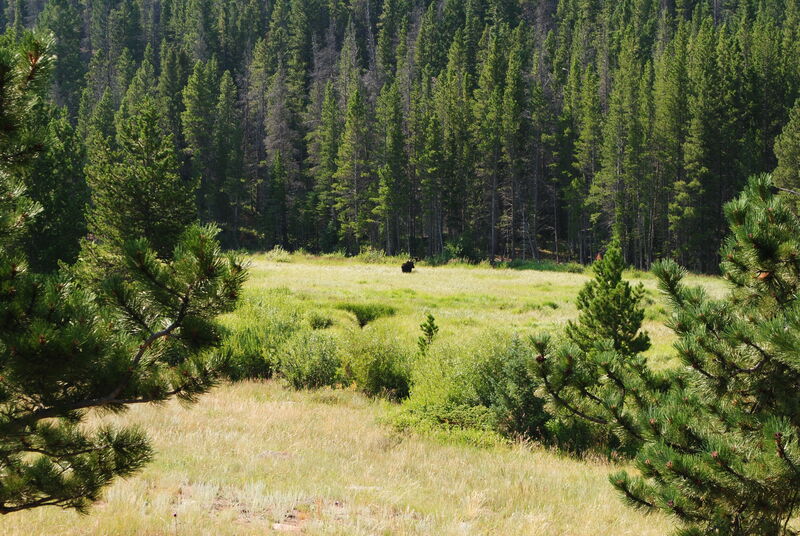 A few weeks ago we went to Estes Park and saw a big bull Moose (below) that was in a field off the side of the road. 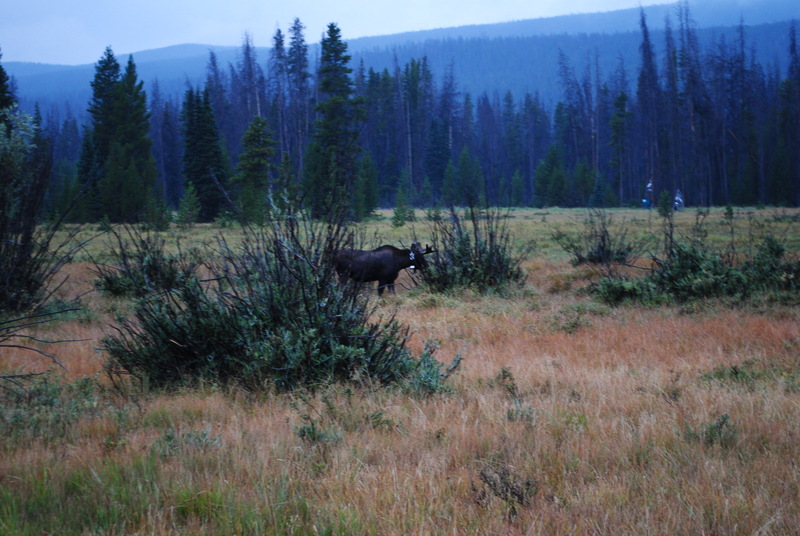 It was the first time I had ever seen a real, live, moose and I was thrilled beyond words. However, it was too far away for me to capture a good picture of it, and I decided right then and there that I had to find another moose that would be closer to the side of the road so I could get a better picture. Today, we got up at 4:30 A.M. 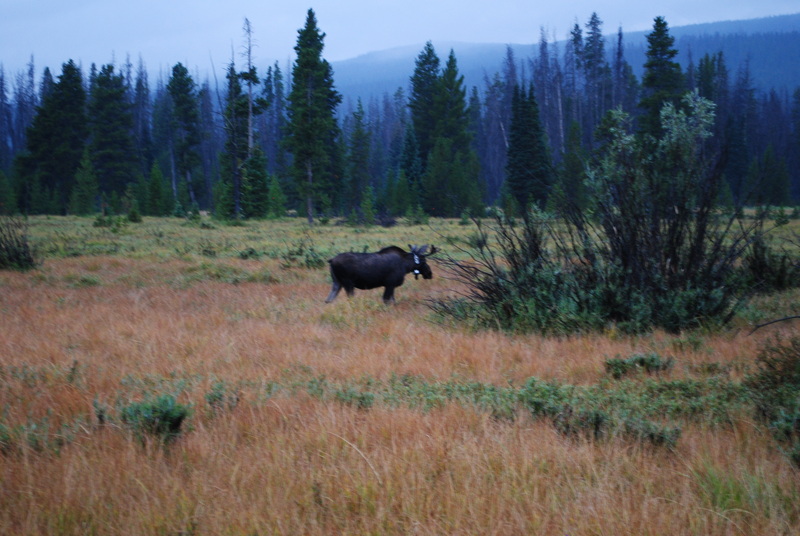 It was dark, cold, and pouring down rain, and I began to wonder why I ever hatched this big plan to begin with…, but we jumped out of bed, got dressed very quickly, and headed out the door, without breakfast or anything, and drove to the Grand Lake area once again in search of more moose. 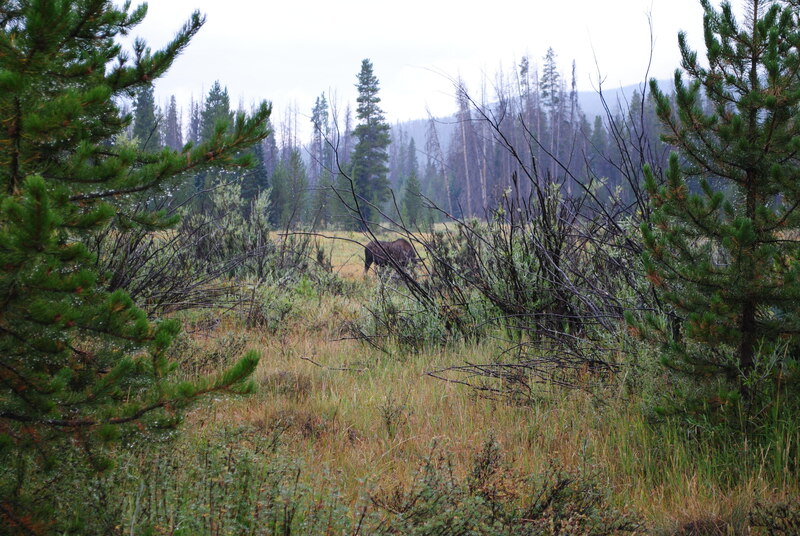 And, BINGO, we scored big time when we saw this young bull moose within 100 feet of the road we were on! I jumped out of that car and started snapping pictures as fast as I could..
and, the even bigger thrill for me, was that the young bull moose was so close to us I was able to get some good, close up pictures. YIPPEE!!!! See what happens when we set our intentions! LOVE YOU! We had a great time this morning, that would be an early morning, when we first started into the park I was not sure we were going to find the elusive moose, because I didn’t see any elk and I figured that all of the animals were hunkered down deep in the forest. 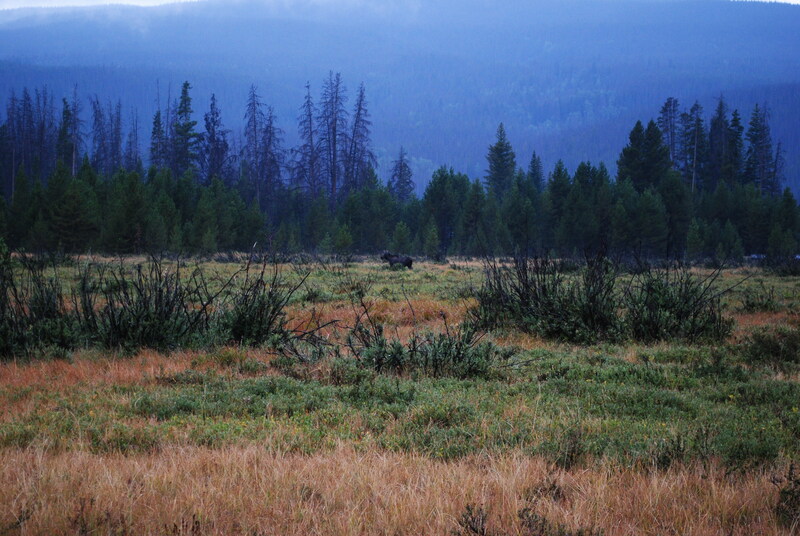 Thankfully we finally saw the moose in the field close to the road, it made my morning also.